As heavy fighting in the city of Hama reminds us of the seemingly endless misery in Syria, a hopeful breakthrough has been overlooked in the media: Syrian opposition forces met in Jordan for two days to discuss the logistics of de-escalation zones in southwestern parts of the country. These meetings resulted in unprecedented demands to pull out al-Qaeda-linked Al Nusra fighters from this area, reflecting a new impetus by both the Syrian Army and Jordan and its allies to pacify the vexing eight-kilometer zone between Syria, Israel and Jordan. Importantly, Jordan has perceptibly changed its tone towards Syria and its existing regime, and this could hold the key to greater stability and security for all. Although the meetings in Jordan also discussed moving some opposition forces to Al Shaddadi Military Camp near Deir al-Zour, in order to liberate the city from Daesh, and focused on creating a mechanism of cooperating to make practicable a tripartite security agreement signed by Jordan, the U.S. and Russia in Jordan end of June, it is difficult to overstate the quiet significance of the Hashemite kingdom’s changing relationship with key Syrian forces and emerging role as a go between for the Russians and the Americans. Of the many external players jockeying to influence the course and conclusion of the Syrian Civil War, Jordan has long been a quiet but key influencer. Jordan, which supports a political solution to the Syrian conflict and initially collaborated with the Obama administration in supporting the Syrian opposition, has significantly altered its stance over time. 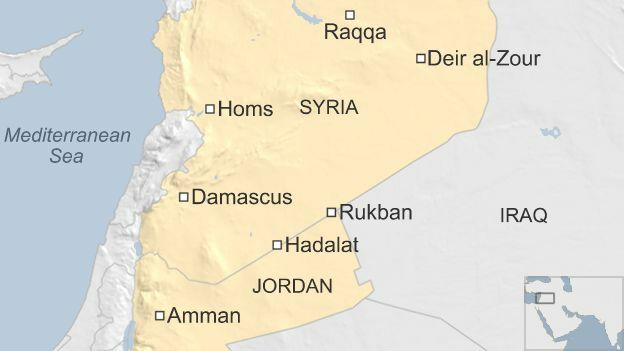 Following the 2015 tragedy where ISIS savagely burned a Jordanian pilot to death, Jordan began moving its support away from the rebel groups. (King Abdullah II himself participated in the retaliatory bombing missions following this outrage). Jordan’s stance shifted again following a new dynamic created by the liberation of Aleppo, and the Trump administration’s more hawkish, interventionist approach to Syria. In recent months, the Assad’s Syrian Arab Army has gained significant momentum, racking up victory after victory over ISIS and other Islamist militant groups operant in Syria. Meanwhile, U.S. forces too have moved away from supporting rebel groups, who are viewed by most to be extremist offshoots, providing additional bandwidth for Jordan to quietly align its support with the standing regime. A steady flow of statements from Jordanian officials in recent weeks have stressed the kingdom’s interest in the Southwestern parts of Syria that brush her borders. Other official statements make clear that the “security and stability” of Syria is a strategic interest for Jordan and for the whole region. On one hand, these statements implicitly signal that there is no rejection of the current government or of Syrian President Bashar Al Assad. But, more importantly, they also signal that Jordan is ready and willing to actively facilitate a political settlement. If it plays its cards right, Jordan possesses both the relationships and resources to potentially tip the scales. As Jordan’s stance towards Syrian forces continues to shift, so do its ties with international parties which have vested interest in the outcome of the ongoing conflict. For example, Jordan has recently shown interest in “sophisticated communications” with pro-Assad Russia. Indeed, after a closed-door meeting at the Royal Palace last week, President Vladimir Putin was described by the kingdom as a “trusted friend” and a “credible man”, which creates the potential for a whole new dynamic in a region whose leadership is avowedly anti-Assad. For some time, Jordan has wanted to reopen Nasseeb crossing point, but President Assad has been “dodging” in the past few months until July 19 where he voiced his willingness to reopen the crossing point under certain security arrangements that will guarantee security along the eight kilometers. Jordan is also in talks with the Iraqi government to open the Turaibeel Crossing Point between Jordan and Iraq. Once both checking points are open to travelers, part of the economic burdens the kingdom is suffering from would be alleviated. The fact that Russia, Iran and Turkey have made great efforts to reach an agreement on safe zones and ceasefire in many parts of Syria has also played a role. Also, Jordan has not spared effort to mediate between Russia and the Americans on the Syrian file because Syrian security has great impact on Jordan’s security and this is the key reason for Jordan’s efforts ― safeguarding our own borders, while helping bring together two key international players with high stakes in the Middle Eastern affairs. To this effect, Jordan has in the past several months hosted three high level meetings with the military and security personnel from the US, Russia and Jordan. The last meeting also included Israelis ― so the results of these meetings was the foundational work that led to the agreement announced in Hamburg, following Trump-Putin meeting. The ground work for this agreement to happen has taken strenuous efforts, especially from the Jordanian side and relationships developed in order to prepare for the moment when the collaboration would need to be put in practice. Ultimately, Jordan hopes that the success of the Syrian ceasefire agreement will serve as the test of Russo-American collaboration in the region. The signing of the tripartite agreement and movement of Al Nusra fighters out of southwestern Syria also signal that the other side might soon be receptive to further de-escalation. While there may be ‘no good options’ in a conclusion to the Syrian conflict, at least a potential end to the horrific loss of life seen over the past half-decade may be within reach. Written by Shehab al Makahleh, a Jordanian political analyst and director of Geostrategic Media Middle East.